The Second World War Guernsey Evacuation to England, Scotland and Wales has been overlooked in many Second World War Histories. I am proud to announce that I have interviewed hundreds of evacuees and written a book for The History Press, to tell the story of these 17,000 overlooked people. The Guernsey Evacuation story is history about real people who lived in our streets, went to our schools, and who helped Britain by undertaking vital war work when the threat of German invasion was very real. Many remained in the England after the war, and are now a permanent part of our community. Luckily some of them are still amongst us and I am fortunate enough to be able to record these stories, share them with the public and preserve them for future generations to hear. 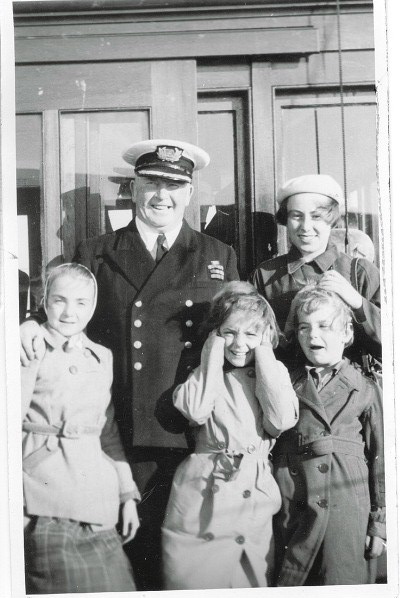 Since May 2008, I have been interviewing hundreds of children, teachers and mothers who fled Guernsey to mainland Britain in June 1940, just a few days prior to the German Occupation of the Channel Islands. The Channels Islands are part of British territory, and in June 1940, around 17,000 residents left their homes, and all of their possessions, behind. My research has concentrated on the many thousands that arrived in the industrial towns of Lancashire, Cheshire and Yorkshire. Hundreds then moved into Derbyshire, whilst others were scattered throughout the UK. Many travelled as far as Glasgow. 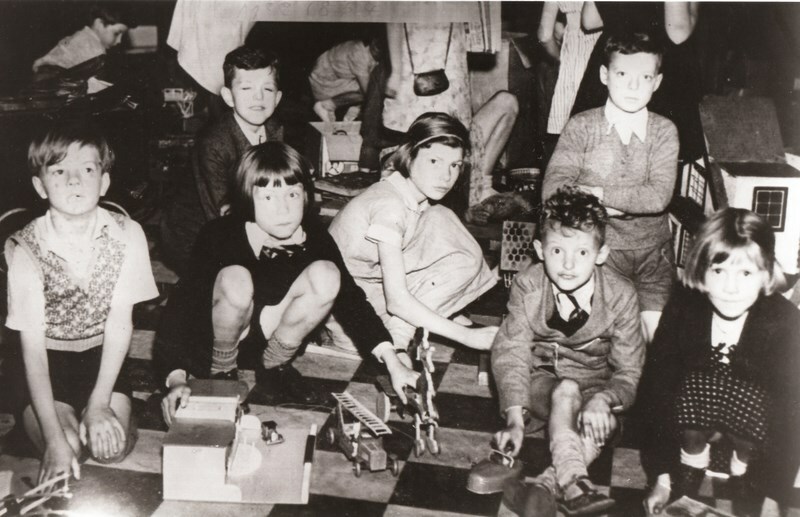 The evacuees spent several weeks in Evacuee Reception Centres, before being provided with local accommodation. Over 5,000 Guernsey children were evacuated with their Teachers, along with 500 Guernsey mothers who acted as ‘teachers helpers’. Most of the children did not see their parents again for five long years and some never returned home after the war. 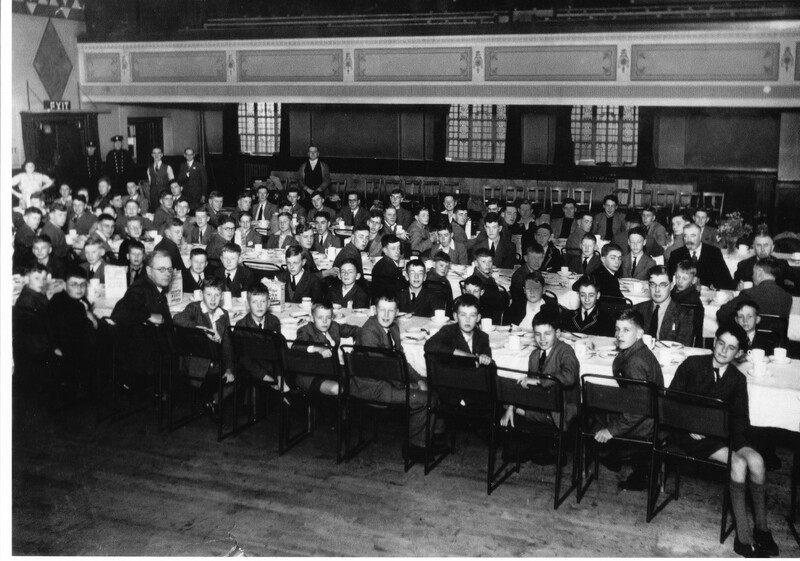 Some of the evacuated Guernsey Headteachers re-established their schools in England, in order to keep the pupils and teachers together throughout the war. A number of Guernsey families also escaped the island during the actual German occupation. see: my ‘Eleanor Roosevelt’ page on this website. You can contact me by filling in the ‘comment’ box at the foot of this webpage. Are you one of these Guernsey children, evacuated on The Viking? Please contact me if so! Thanks for sharing this. I knew the original story and it is incredibly touching. I have just begun to use Google+ specifically for my BOXALL (and variant) One Name Study and while setting up some connections with the Guild of One Name Studies I came across a small segment about your research on Julie Goucher’s circle and she forwarded your details. Here is my interest in your research. My father, William Falla Lane(was Louvet), left Guernsey and joined the British Army. I don’t believe any of his Louvet siblings left. As William was old enough to join the Army I would imagine that his half siblings were much older and maybe had families of their own and may have had children evacuated. As you see I know very little about my father’s family for good reason. William returned to Guernsey with his common-law wife about 1954 after walking out on my Mum and five children. All I know about him is he was the last to be born after his mother’s husband, Alphonse Louvet, died. His father, as far as I have worked out, was William Thomas Falla. I would be really interested if you come across any of these names in your research. Thank you. A big thank you for reminding us of this part of history that many either don’t know about or have never been heard of this occupation by the German Army. HI Veronica, thank you so much for your story. Sadly I have not as yet come across the name Louvet, but if it crops up in the future, I will get in touch with you at once. Thank you for taking the time to contact me. My mum knew some Louvets. I will ask Margaret. thanks so much Liz 🙂 and give all of your family my love. My aunt by marriage (now deceased) went to England as an adult for the length of the occupation, the rest of the family stayed and while not evacuated were very much in touch with the “situation”. I am so glad you are writng this book, the Nazi invasion of Jersey is so much a part of our family history. I have to say that I had not realised so much about Guernsey and its involvement in the war until I read the book The Guernsey Literary and Potato peel Pie society. Although its a fictional story it did give some insight into Guernsey’s plight. Hi thank you so much for your comment and you are right. I hope that anyone who enjoyed the WW2 aspect of that book will find mine most enjoyable. Gillian, I really admire you for undertaking such a massive project. The world needs more people like you, recording and saving our history.I wish you every success! I’m very excited for your book to come out. 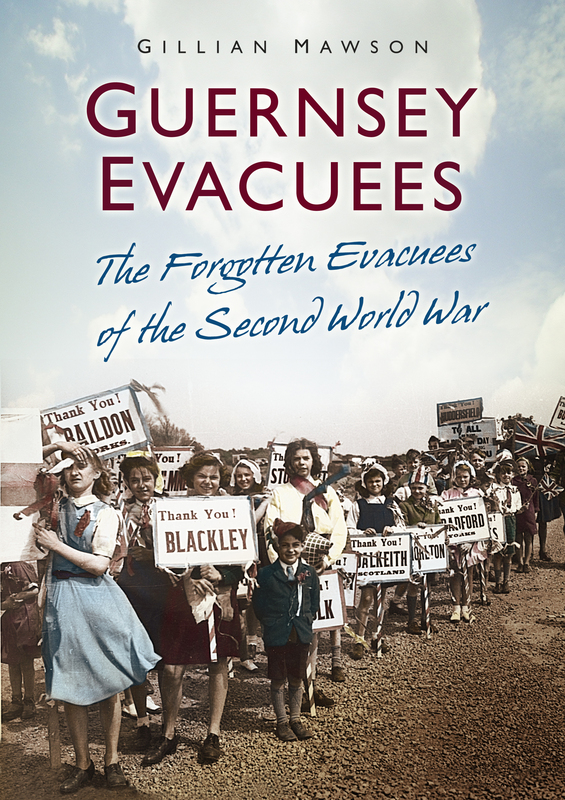 After reading the fictional book on Guernsey, it’ll be great to read real stories from actual evacuees! I am going to look for the book but was wondering if there were records kept of names on boats and where they came onto the main land. hi Mike as far as I know the lists of names of those on the boats were destroyed when the Germans landed in Guernsey, so that they would not have personal information about which evacuees had left. I unfortunately have not come across the name Roy Guilbert Cowling either as yet. Can you give me his age and which area he lived in at the time in Guernsey? What an intriguing and touching story. Thanks so much for doing this important research and for making it available to the world. Thanks for this, Gill. I am going to add your book to a huge pile on my to-be-read list. I read the book, The Guernsey Literary and Potato Peel Society and was drawn to the plight of those people on the Channel Islands during WWII. Looking forward to the read. A similar but much less momentous story is of the boys from England who came to Ontario, specifically one to our farm through my Dad and another to his friend’s farm. These young English boys, really, needed a new start for various reasons, and got those starts here in Ontario. I just met the daughter on one of them in the musical I was in. She was in the orchestra and we both marveled about that whole concept of starting life in a new land and its ramifications. Don’t you just love people stories? This book sounds like exactly the sort of book I will LOVE! I have long been intrigued by the experience of non-combatants in WWII. Will order this immediately! So is yours! I had a little fun putting a sign on mine last night. Thank you Gillian. A great site and a great job of keeping British history alive. This is such a touching story, and living in England I have watched this on various programmes, but not in this detail. It was such a horrible time. My mother was in the Airforce and my dad in the Army back then and I heard many tales of children especially leaving home for five or more years. In fact my gran had at least six evacuee children staying with her. And in fact ten years ago one of them found her and got in touch! that was amazing. Great to see these haven’t been forgotten. I knew a little girl from Guernsey in my class at school in Galashiels, Scotland . Her name was Margot Hubert, and I well remember her. this is really impressive , well done for such a fantastic work and a massive project you have done i admire your courage and determination to !!! your welcome !!!!! many thanks from groovy historian !!! Gillian, the story of your research in the latest Guernsey Society Review makes brilliant reading and I am so delighted to read it… your work has been fantastic and you deserve all the praise you receive ! I am sorry not to have been more help but my grand-mother, mother, brother and I stayed together pretty well throughout the evacuation. Prior to that, Peter and I were at the Froebel School in Guernsey and I presume they did not have an “evacuation club” like Elizabeth College & the Ladies College & others? If I’m wrong, do please let me know. If you have seen Gary Blanchford’s new book “Guernsey’s Occupation Ambulance Service” my father is quoted on pages 50 & 51, but on page 216 you will see the Ford V8 Shooting Brake, unique to Guernsey, owned by the Froebel in which we were taken to school but which ended up as an ambulance….. I see you were close to Joan Ozanne who was a one-time girlfriend of mine, but ended up married to another friend, George Foote with whom I walked to Elizabeth College every day for years as we lived fairly close. We are still in fairly regular contact with each other …..
Hi Gill,I’m just about to order your book ,my late dad (Roy Perrio) and his whole family were evacuated but he never really spoke about what happened other family have told me bits so I look forward to reading it. My dad(Kenneth Howard) came over from Guernsey early in August 1940. My nana was told to leave the island quick because her and the children would be put into camp. Due to my grandad being in the army. They were one of the last families to leave the Island. Is there anymore reunions arranged my dad would love to attend. All his family stayed in stockport. My father, Harold Lloyd Bougourd, at 17 years of age was wise beyond his years and left Guernsey, taking his English born mother with him. The rest of the family stayed and the mainland British born ones, their spouses and children were all taken to Biberach in Bavaria where they were interned for the duration of the war. They were not mistreated but they were desperately short of food, medication and warm clothing. One aunt suffered permanent alopecia, one uncle lost both legs, one aunt suffered psychological problems and one cousin lost a lung. None of them were ever the same again after their return. Dad was just short of 18 at the time and as soon as he reached that age, joined the army and went through the war in that capacity. In 1945 he married my mother in England before returning to Germany where he served as a Military Policeman. When I was about to appear on the scene, they applied for council housing and were told that “With a name like yours, you might be a German” so there was no hope of housing. Imagine the politically correct uproar that would cause now! It was a tough time and he never got back to Guernsey except for holidays. Hi Gill, I know barely anything of my family history but I do know that my father was evacuated from Guernsey at the age of two (approx) his name was Brian John Duquemin, his father was Douglas Alfred Duquemin and I believe his mothers name was Beatrice Irene Duquemin, i believe he also had a sister called Marina,Sadly he never returned home after the war and was raised in various children’s homes etc, Unfortunately he hardly ever spoke of his family or his childhood, I wonder if there is any information on his family that you could pass on to me. I look forward to a reply from you, yours thankfully , Brett Duquemin. My mother in law, Eileen Le Poidevin nee Mullet Told me her parents and herself left on the last boat out. This was a family joke as Eileen was late for everything. Her father was a builder and built lots of the bungalows around Cobo Bay. Originally they were from East Cowes, IOW, so they went to family there. Returning to Guernsey after the war and continuing the building business. Eileen then married William Le Poidevin who had stayed during the occupation .